Xiao Wu’s existence revolves around school, an empty apartment and the dubious comforts in instant noodles. One day, his routine is subtly transformed by a tenant in the apartment, who is nursing a heartache. However their paths rarely cross. Longing for human contact Xiao Wu tries all he can to make a connection through physical and metaphorical walls in that hour between night and day. "A melancholic treatise on isolation and our failure to connect with those closest to us." "Initially sweet, eventually sad…lensing is crisp, and other tech credits are pro." 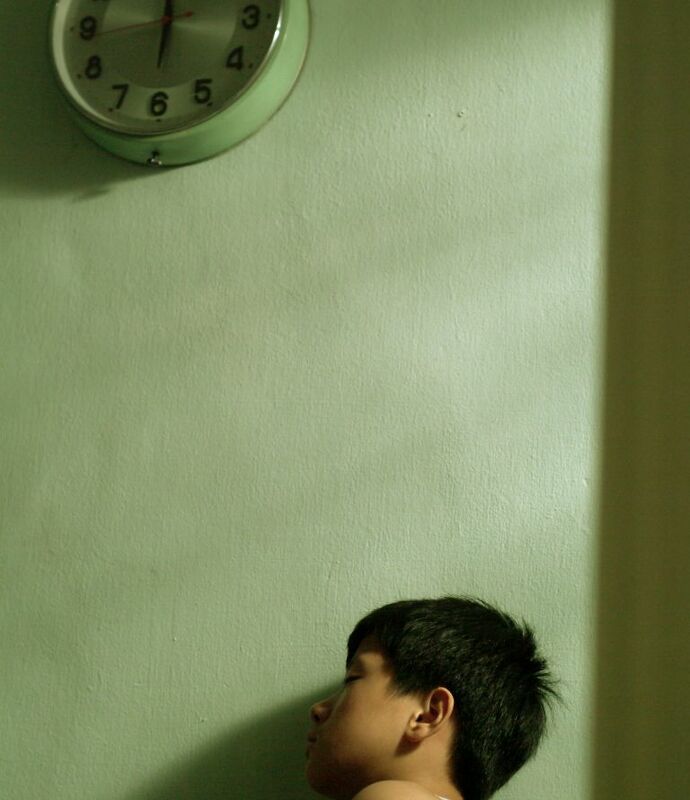 "Singaporean director Royston Tan has conjured another enigmatic, intriguing film." "Royston Tan most assuredly moves from the category of filmmaker to artist…Tan’s brilliance subtly reveals itself in many ways…Here’s required viewing for anyone who contemplates bringing another life to the planet." "With an intelligent mixture of gorgeous art direction and complex psychological perspectives, Royston Tan has probably created the most mature and accomplished Singapore feature production to date. Its ‘international’ feel goes in tandem with the local tastes and could find more fans abroad. Those who had the privilege of viewing Tan’s most prominent feature, 15, might have found it overrated due to its controversy. But with his latest bow, you owe it to yourselves to witness more from arguably Singapore’s most talented auteur." "Beautifully composed shots and the director’s evident love of his subject allows the film to drive home the sense of estrangement and the essential heroism of a boy forced to withdraw within himself." "Creating powerful visual metaphors of solitude seems one of Tan’s gifts in 4:30." "4:30 is quiet and reflective. A big hit at the recent Singapore Film Festival, it has served to cement Tan’s position as a leading young director with an acute ability to observe the world and translate those observations into captivating cinema." "The narrative slides towards a melancholy that hints a deep emotional pain underlaying the film’s opening good humor."